This up-to-date blog and guide to Koh Lipe is packed with the best tips and travel advice to help you plan and enjoy this amazing piace of paradise. Don’t head there without giving this a read. Because once you go Lipe, you don’t want to go back! Koh Lipe is known as the Maldives of Thailand, although I don’t think that comparison is fair. Never been to the Maldives , but Lipe deserves its own individual praise as a tropical paradise. The water is clear and warm, the beaches are paradisiac, the food is cheap and don’t even get me started on the super friendly locals. No, it’s not a dream. Koh Lipe is very real and quickly become my favorite of all the islands in Thailand. Might not be the most accessible place, but it will all be worth it when you’re laying on that sun bed, trust me. I love Koh Lipe. 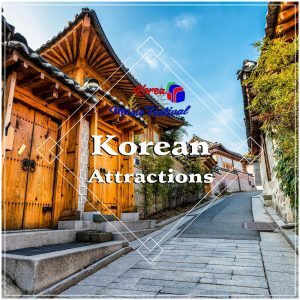 In fact, I liked it so much that I soon as I got back I’ve started compiling this ultimate guide to help you plan your trip to this amazing place as well. It’s packed with tips and with the most up-to-date and reliable insider information of the island. So let’s put you ready for paradise! Located about 60km from mainland, Koh Lipe is the southern-most island in Thailand and the only inhabited island in the Adang archipelago. It’s also one of the smallest so many overlook it in their Thailand itinerary trip. There are many possible routes to reach Koh Lipe . Let’s go through the more popular ones. 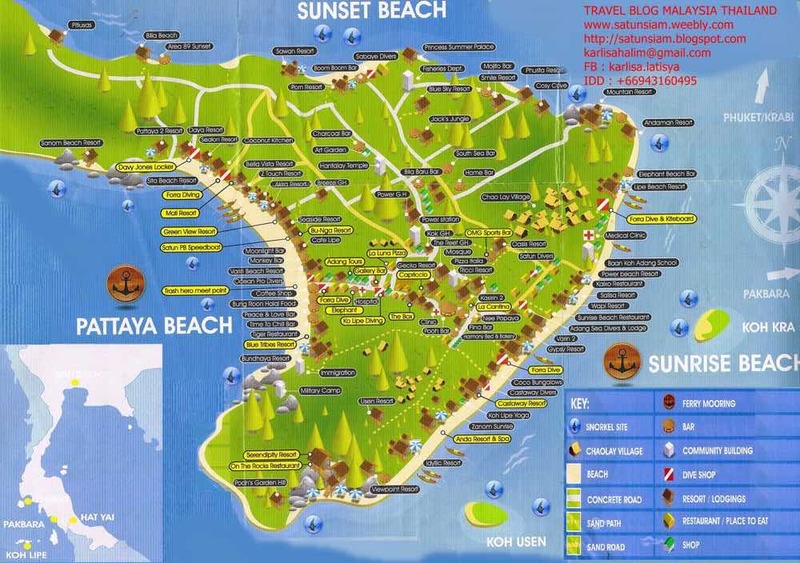 Location and accessibility of Koh Lipe. AirAsia and Nok Air sell these packages and should be a seamless trip of around 5 hours with both. 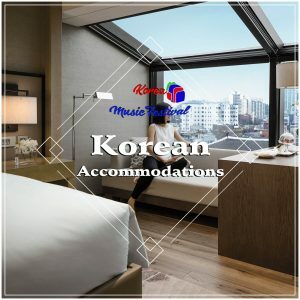 You can also book all this individually, but make sure you have time to get to the ferry leaving Pak Bara and always allow yourself a comfortable buffer time. In any case, the total price is around the same as a combined ticket, so why bother? Also, you can skip the flight to Hat Yai and get there by train or bus. It might be considerably cheaper, but expect journey times of about 12 to 15 hours. The ferry that goes to Koh Lipe from Langkawi (Kuah Jetty). A standard price would be 100 Malaysian Ringgit (approx 800 baht) per person one-way. This speedboat departs from Telaga Harbour Marina, Since the pier is closer to Lipe, the journey time might take a bit inferior to the Kuah Jatty. Note that these boats usually only run from late October to May. 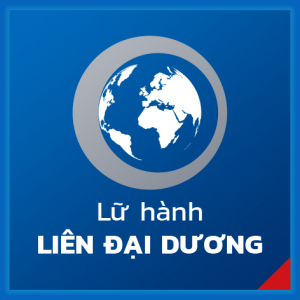 In both cases, you need to check-in, register and pass through some immigration procedures. Be there at least 1 hour before departure! 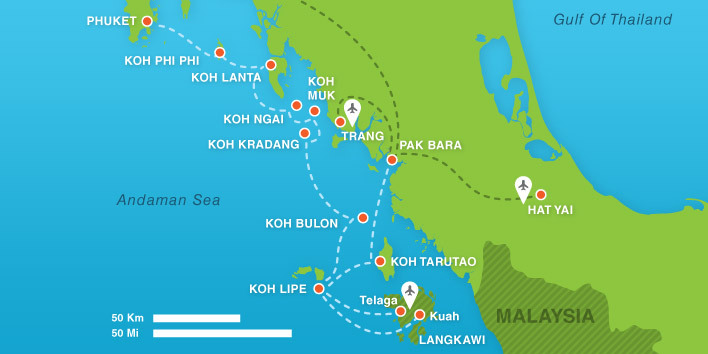 I bought my ticket to Koh Lipe in a tour agency in Langkawi, Malaysia. We haggled the price for theKuah Jetty to 400 ringit return (approx 3220 baht) ticket for 2. Then, depending on weather and sea conditions, the ride can be… uncomfortable. There might or might not be people throwing up. On the day we went, the sea was rough and it was raining heavily, so we ended up having a very wobbly 2-hour ride. But to be fair, the way back was far smoother and actually enjoyable! When we finally reached land, we were escorted to a van and headed to the Immigration Office on Pattaya Beach, right next to Bundhaya Resort. Meanhile, the passport bag was handed over to at least 5 different people until they were FINALLY returned to us in the Immigration office. I’m pretty sure a random local kid had it at some point! This whole process got everyone a little apprehensive, but apparently it’s a normal practice so don’t panic! If you’re island hopping around Thailand, which I highly recommend, you might be interested in knowing only ferries to Koh Lipe. Well, here it is. As per 2016, the only way you can reach Koh Lipe during the monsoon season is through a daily ferry coming Pak Bara pier in mainland Thailand. Ferry departs daily at 11:30am. Arrives Koh Lipe at around 1pm. If you’re coming in the beginning or end of low season, double check if there are more boats running! During the dry season there are plenty of boats running to Koh Lipe. 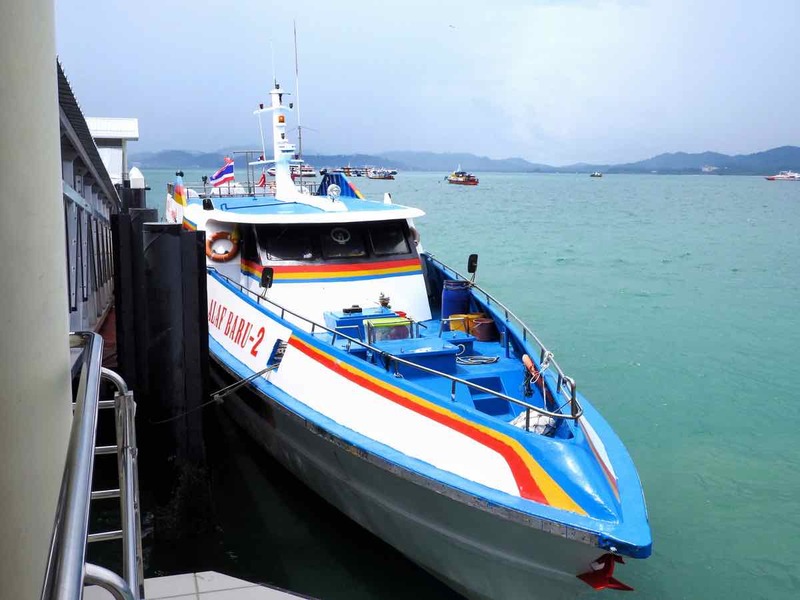 Apart from the Pak Bara one which gets additional daily ferries, there are other connections from Koh Lanta, Koh Phi Phi, Phuket or Langkawi and even other smaller islands like Koh Muk. This page might come in handy as it compiles all the ferry schedules. 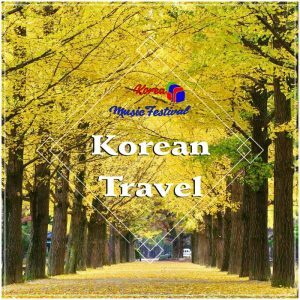 You’ll find many websites selling these ferry tickets, but I strongly recommend you get your ticket on the spot through a tour agency. From my experience you can save at least 10-30%, that’s the commission these websites usually take for themselves. There is no pier in Lipe, so you’ll need to switch from the speedboat or ferry to a longtail to disembark on the island. Some fares don’t include the ticket for this short journey (2 minutes), but it’s usually a small fee payable directly to the driver. High season, from November to April: you can expect warm sunny weather and little rainfall. Specially if you arrive in the absolute peak season – December and January – I recommended that you book your accommodation in advance. 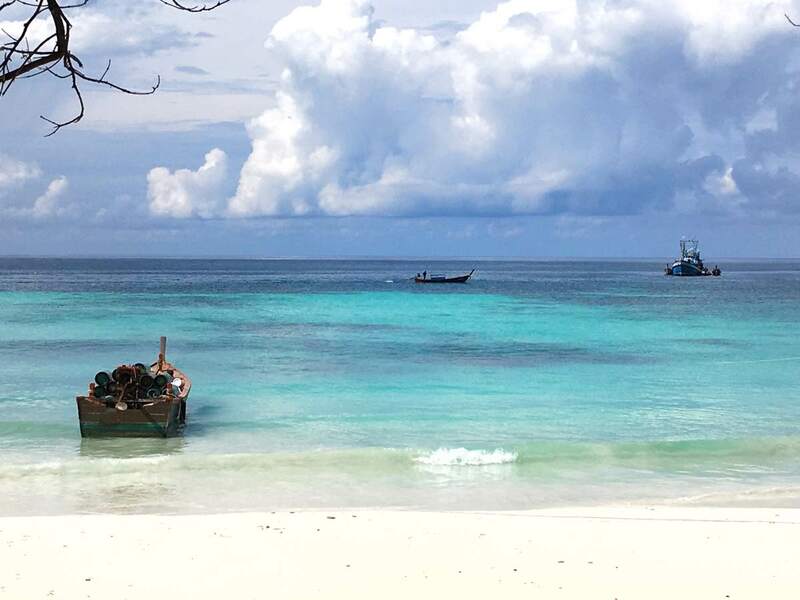 Low season, from May to October: despite the temperatures in Lipe are around a comfortable 26-28C throughout the year, this period might have several rainy days. As a consequence some businesses close for the season. However with a lot less tourists around, you might get great deals on some hotels and resorts. 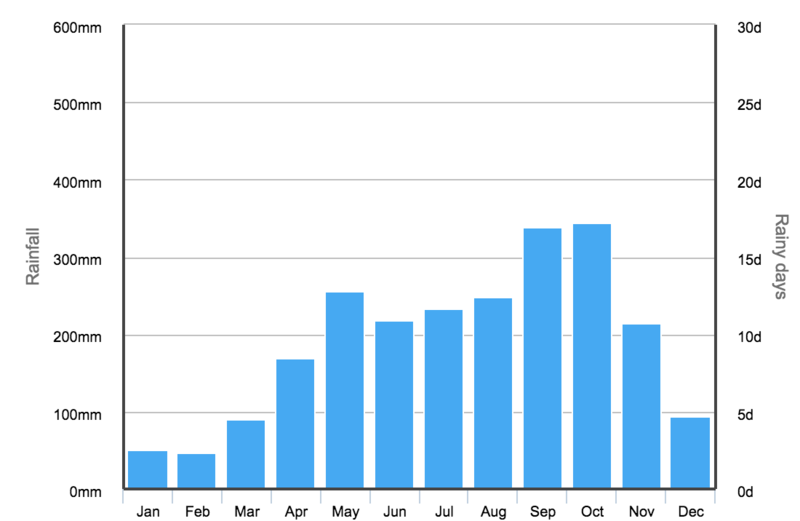 Rainfall in Koh Lipe along the year. 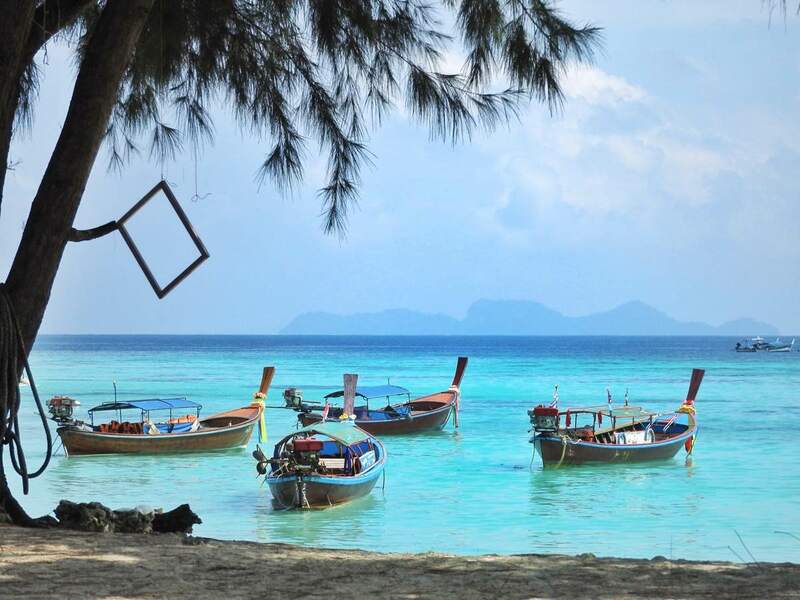 All year round, many Thai and Malay travelers choose Lipe for their weekend getaways. Make sure you take that into account when booking accommodation and transportation and book earlier in these cases. Now for my personal experience. I was in Koh Lipe in early November, what could be considered the shoulder season. I had a previous accommodation reservation, although it was not really needed. Almost all the shops and restaurants were already running but the volume of tourists was not too much. It never felt overcrowded. Weather was unstable, we had everything from sunny clear days to heavy thunderstorms that flooded some of the paved roads in the island. Altogether, a nice well-rounded tropical experience! 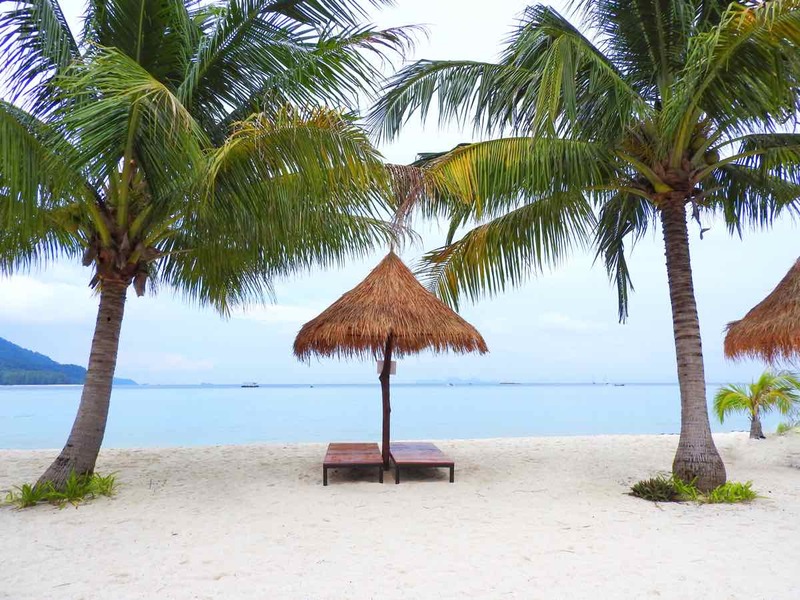 Looking for an affordable tropical resort? It’s not that you will get lost – the island is so tiny that’s not even possible! – but it’s good to know where to go. This map was the best I’ve seen and I used it a lot the first days. It’s such a small island there’s no public transportation available. You can literally walk everywhere. To give you an idea, you can walk from one end of the island to the other via the main street of Koh Lipe: the Walking Street (why complicate?). This will take you 15-20 minutes. If that’s too much for you, longtail boats on Pattaya Beach can take you anywhere on the island for 50 THB per person. Inland, there are also moto-taxis with a sidecar available can drive you anywhere for a similar rate. Drivers are identified by a purple vest. Pro tip: when arriving Koh Lipe, check your accommodation details. Some resorts provide pickup for their guests. It’s no exaggeration if I say you can expect top-notch beaches in Koh Lipe. I mean, postcard material. The water is of a bright turquoise – even in the cloudiest of days. It’s clear enough and in several places, you can snorkel right off the beach. The soft white sands and the lush forest of the island complete a picture-perfect scenario. This was my favorite beach of them all. Sunrise Beach faces east and is the largest beach on the island. I stayed in a bungalow right next to this beach. Even though I hate to wake up early, at 6 am I was there sitting on the beach watching the sunrise show in the sky. When the weather allowed, it was magical and an empowered me to start off my day on a good note! Sunrise Beach has got the most amount of hotels spreading out across the entire beach, for all budgets. This could be a huge drawback, but I was surprised to find out there are many tranquil spots where you can find a big enough space to relax on the sand. We walked several times to the northern tip of the beach, right next to the fancy Mountain Resort to set ourselves the base for the day. It was amazing. Fewer crowds, it’s the perfect place to go for a swim or even snorkel, right off the beach! The only downside is that during the low season, this beach is used to disembark people arriving to Koh Lipe. For some reason, we still got that in early November and the boat traffic at some specific times was higher than we wanted. Pattaya Beach with some bad weather in the horizon. 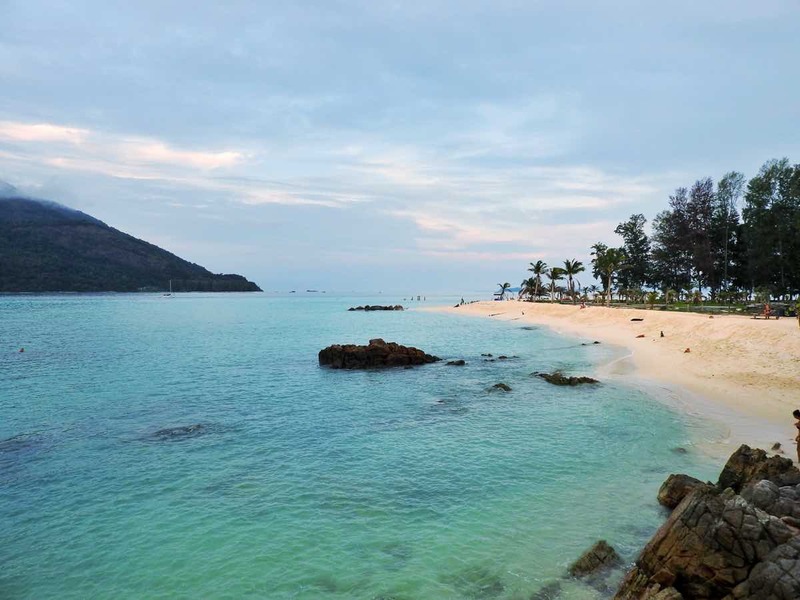 Spreading across a bay in the southern coast of the island, Pattaya Beach is the main one in Koh Lipe and the main point of entry for boats during high season. There are many accommodation, restaurants and bars here and it has got access Walking Street directly. Despite all the movement, somehow it still manages to show off its white sands and the clear warm waters. As for the cons, Pattaya might very well be the noisest of them all and the closest you’ll have to island parties very typical of Phi Phi and Phuket. If you’re looking to relax, this might not be your place. Plus, on the last day when we were waiting for our longtail back to Langkawi, we saw Pattaya is where they put all the trash on a pile before being taken out on longtails. Maybe I’m being too picky, but it was not a pretty sight. Even in a cloudy day you feel you’re lost in paradise in Sunset Beach. Smaller and more off the beaten track than the previous two, somehow Sunset Beach gave me a hippie vibe. It’s definitely more secluded and the views to the neighbour islands in the Adang archipelago – specially Koh Adang – are amazing. There are some very chilled restaurants and hotels. Sunset Beach is the perfect place to spend a lazy late afternoon in Lipe. There are numerous dive shops in Koh Lipe and I can see why. The water around the island is shallow and clear, and there’s a ton of reefs to explore in the underworld. Compared to other diving spots in the world, nothing is too expensive here. Sea kayaking around Lipe is a good way to explore hidden snorkeling spots and see the island from a different perspective. Many resorts and diving shops have kayaks to rent. Prices start at 100 baht per hour or 300 baht per day. You can even adventure yourself to the neighbor Ko Adang – the trip should take you around 1 hour each way. However play it safe and ask around about sea conditions and currents first! Don’t miss this in Lipe. If you are on a day with good weather, you’re on to memorable sunrises and sunsets so do it like us and make both a ritual and important parts of the day. Make sure you pick the right spot. For the sunrise, go to the southern end of Sunrise Beach where the sun appears right next to Koh Usen islet. For the sunset, head to Sunset Beach or the tip of Sunrise Beach next to Mountain Resort are great options. Grab a drink or two while enjoying the show (for the sunset I mean, but if you want it during the sunset, hey, I don’t judge). Just like in Chiang Mai, massages in Koh Lipe are still super cheap, even for Thai standards. They’re the ideal way to finish off your hard tan-working day. There must be at least 15-20 massage places in the island. They ALL have the same prices, so our only criteria was trying to find the most popular places. I had a back, head & shoulder massage and several foot massages and I enjoyed every. Single. Moment. Most massage places are open until 10pm in the Walking Street and the price is an incredible 300 baht for a full hour massage. Pro tip: A Thai massage can be intense, so if you’re going for it, make sure you agree beforehand the level of agressiveness you want them to put in. Also, if you have a sunburn, skip it completely and go for a refreshing Aloe Vera massage. Usually these are a bit more expensive. The two main snorkeling programs in Koh Lipe. 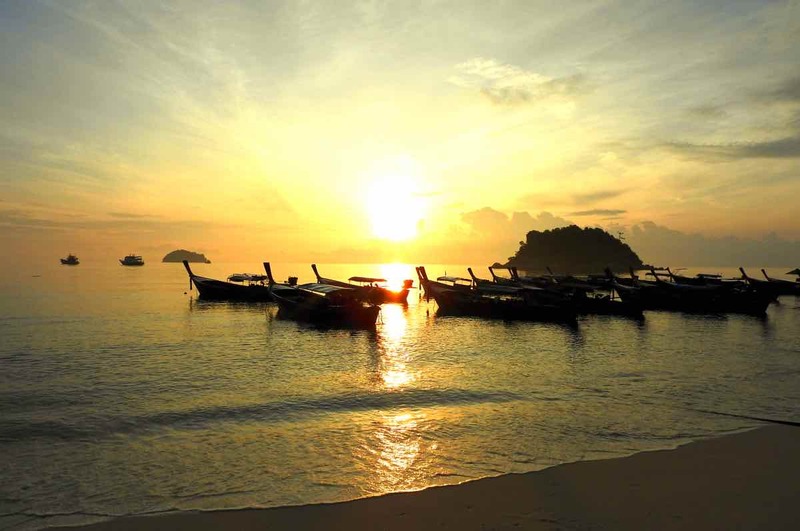 The privileged location of Koh Lipe makes it a great hub to explore many other islands nearby. Apart from private longtail tours that can take you wherever, travel agents in the island will offer you the same 2 tours: Program 1 and Program 2. Both are full-day tours and aside from water and sometimes snacks, they include a lot of beach, snorkeling and hiking time. Program 1: goes to the nearby islands like Koh Rawi, Koh Jabaang, Koh Hin-Ngam, Koh Yang and Koh Adang. There are shorter boat trips involved which means more snorkeling time. The price is 550 baht. Program 2: goes to the farthest islands in the Adang archipelago like Koh Lok Goi, Koh Hin Saun, Koh Dong and Koh Pung– where the snorkel is even better. Price: 650 baht. 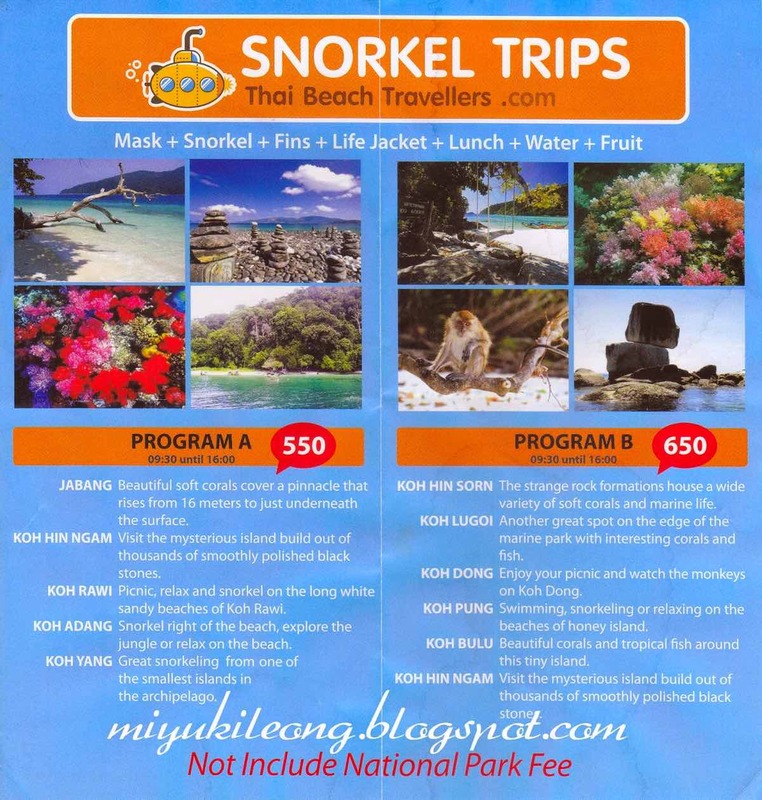 In both of these you need to add the National Park fee – 200 baht. This is paid once and valid for one week. After stressful experiences in the island hopping tour in Langkawi and in the Kuah Jetty, we were a bit fed up of boat rides so we skipped this tour. Next time! Walking Street on a lazy morning. 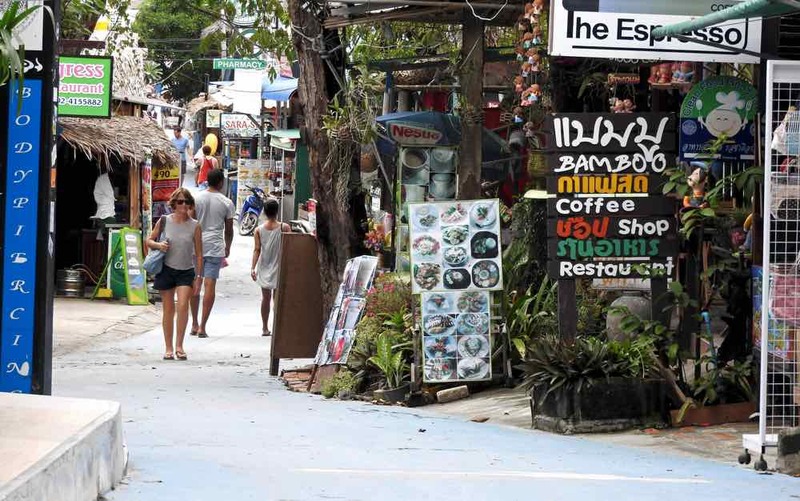 The Walking Street that connects the Pattaya and Sunset beaches is the beating heart of Koh Lipe. 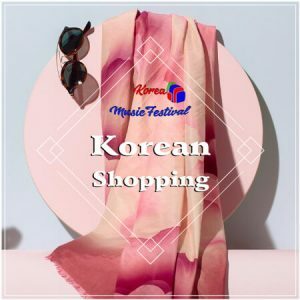 You’ll find everything you need here: pharmacies, vintage clothes, relaxing massages and all kind of food specialties. Due to its remoteness, I was expecting Koh Lipe to have high prices but nope. Everything is fairly cheap here! Seriously. 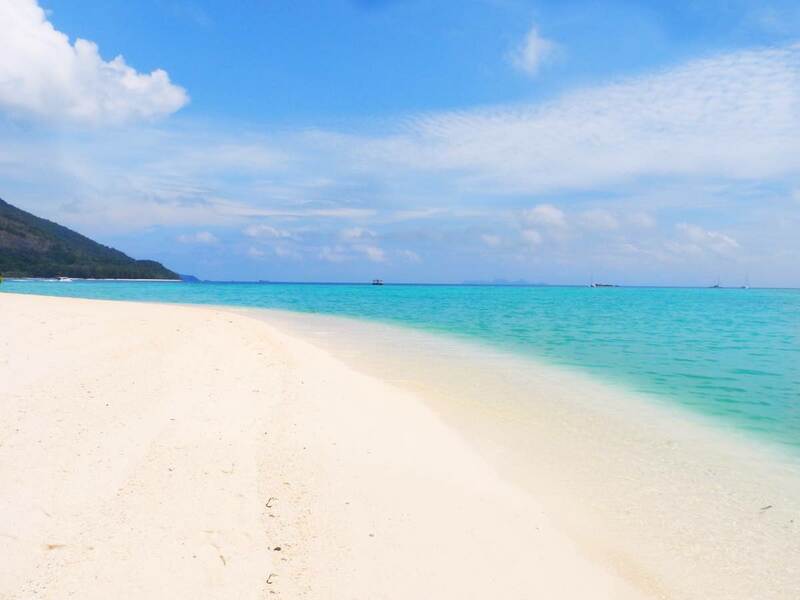 One of the best things to do in Koh Lipe is… nothing. Nada. Niente. The island will quickly win you over to a laid-back lifestyle, so just let it go. The soft white sands – like I never seen before! – and the swimmable warm pristine waters are an open invitation to relax. Just lie on a hammock, read a book or simply float on the water. Whatever you do, keep working on that tan. 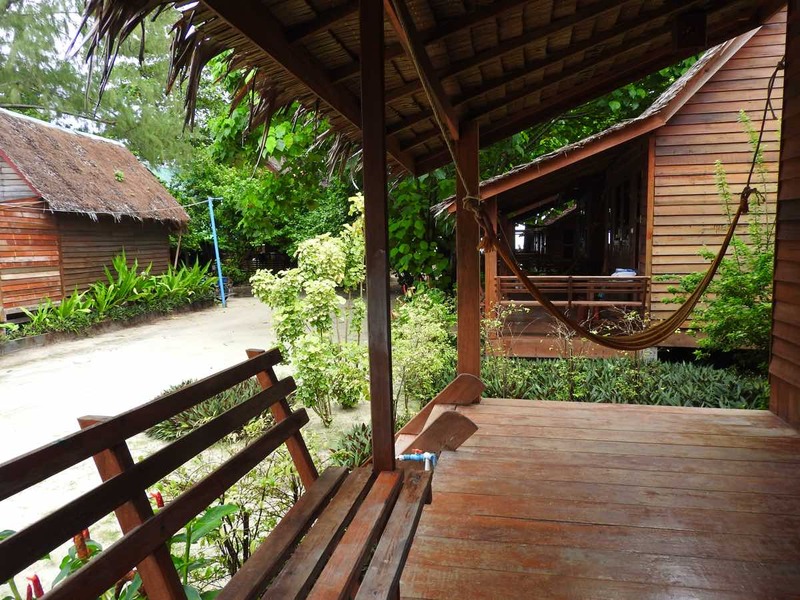 There is already a wide range of accommodation in Koh Lipe, from luxury resorts to backpackers dorms. Yet during the high season the demand is so high that is really convenient to book your stay in advance. I highly recommend the place I stayed: Zanom Sunrise Resort. Offering comfy rustic bungalows, they’re the right kind of accommodation in the island: not too frugal but not too fancy either. And the price is very reasonable. You can read my full experience in Zanom Resort here. I usually use Booking.com to find accommodations. I’ve prepared a shortlist of the best resorts in Koh Lipe. They include only the best-rated hotels, with WiFi and with breakfast included in the top location of the island: Sunrise Beach. After the mouth-watering food in Chiang Mai and the disappointing food experience in Koh Lanta, I honestly didn’t know what to expect in Koh Lipe. When I first put my feet in the Walking Street, I smiled. There is a wide range of affordable food from Indian to Thai, including more western influences like Italian. Although made for tourists, everything looked delicious and authentic. 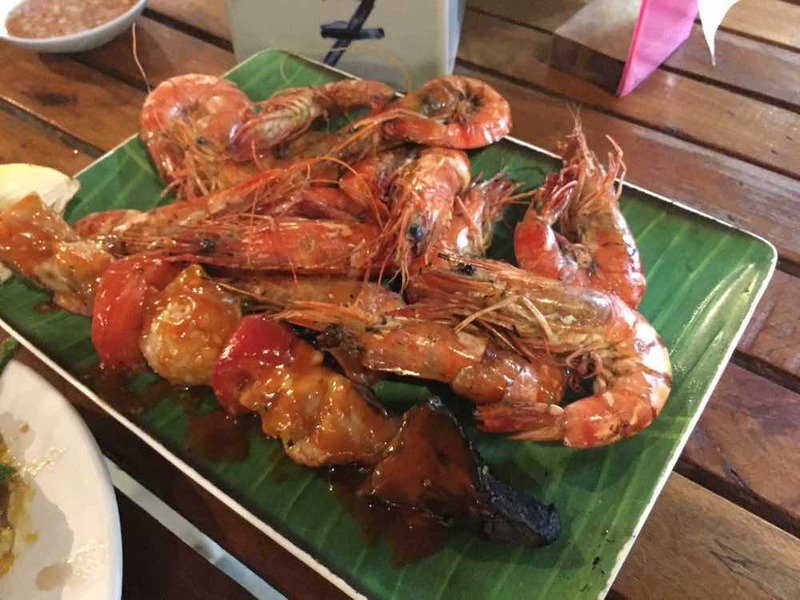 We’ve tried many of these places, so let me suggest my top places to eat in Koh Lipe. One of my orders: Grilled prawns and a fish kebab. YAM! Let me put it out there: this is not the cheapest of options to eat. But if you can allow yourself to splurge on a meal, this is it. Along the Walking Street there at least two places where you can pick all the fresh fish and seafood you want and choose how you want it cooked. The tropical version of “All you can eat” places. The place we went also had other already cooked specialities and I couldn’t get enough of the prawns in tamarind sauce and the coconut & curry fresh crab. Prepare yourself for some shell-cracking finger-licking action! Price for all this for two was slightly over 1,000 baht. This place was recommended to us by two brazilian backpackers we met back in Langkawi and despite I don’t like to repeat places when I travel we did go back several times. 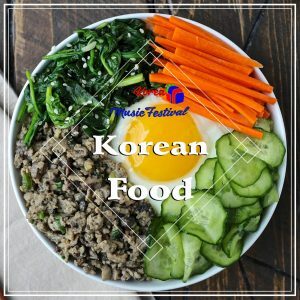 Right in the middle of Walking Street between Pattaya Beach and Sunrise Beach, it has got everything – breakfast, lunch, and dinner. There is an area specialised in coffee which is absolute gold in Koh Lipe. Service can be slow, but it’s for a good reason. Everything is freshly made at the time – it was here I had one of the best Pad Thai I had in my life. The prices were the best we saw in the island. Taken while having breakfast @ Sunrise Beach Restaurant. Like you might have guessed already, this restaurant is right on Sunrise Beach and is definitely one of the most scenic places to eat in Koh Lipe. They are open from early in the morning to late in the evening and even get a very good western breakfast (cheaper than other places in the island). Overall, prices were more than fair given the outstanding views! This, ladies and gentlemen, is perfection in my hand. Sorry but I don’t remember the name of this place. If you’re coming from Sunrise Beach, it’s in the beginning of the Walking Street, in the first curve to the right just in front of the hospital. You’ll find a small stall specialising in fruit juices and ice creams. Everything is good quality but the key message here is: TRY THE COCONUT ICE CREAM. It comes inside a real coconut and it’s refreshing, delicious and I’ll be craving it for a long time! How can you not love a place that has its name due to a lovely old lady who screams “Yoo-Hoo pancake Yoo-Hoo” to everyone passing by? And this is not only a gimmick. I can confirm the banana pancakes here are the ultimate dessert in Lipe. There are dozens of possible add-ons and sadly I never tried what it seemed the best-seller: Nutella. In any case, everything is made fresh in front of you – it’s delicious. PS: This almost wins the prize for the most creative name of a business in Lipe. My #1 spot goes to a bakery called Flour Power. Genius. Koh Lipe is pretty chilled – don’t expect huge parties like in other Thai islands such as Koh Phi Phi or Koh Phangan. Most of the bars and nightlife spots you can find here are utterly relaxing. Most things are closing by 1am. The music I heard the most playing was a reggae version of “Paradise” by Coldplay which shows you the mood you can expect. Cocktails usually come with a 200 baht price tag, while the beer is a lot cheaper. Expect to pay around 80 baht for a Chang beer. Although they have cheaper drinks, I personally didn’t see the appeal on the bars in the Walking Street. I much rather head to one of the beaches for a drink by the sea. 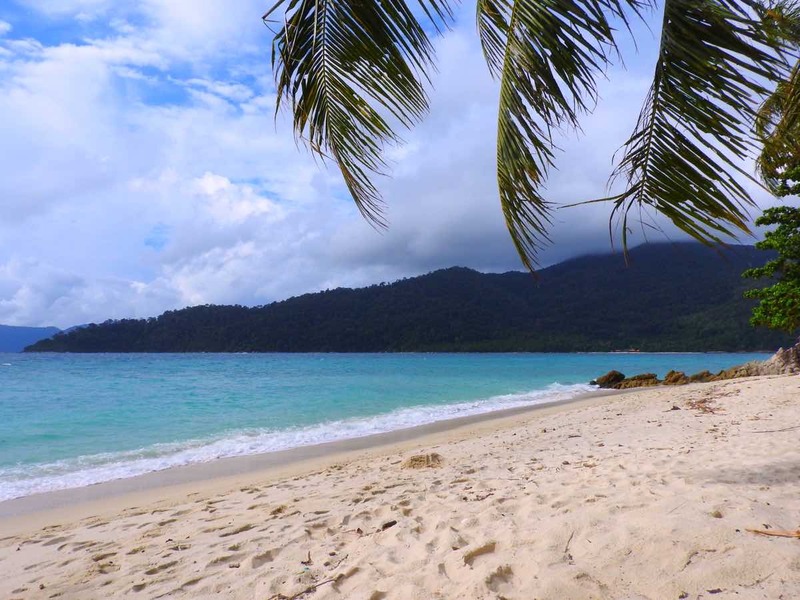 These are the best bars we found in the island for each one of the main beaches in Lipe. They should be open at least until midnight every day. Reggae Bar, Pattaya Beach: loved the vibe here, although the smell to illegal (?) substances can be intense. There are fire performances every night by 10pm. Bila Beach Bar, Sunset Beach: probably the beach bar with the best views I’ve ever been. It’s just below The Hut right on the western end of the beach. Aim to go just before the sunset. Sea La Vie, Sunrise Beach: very chilled vibe and cool interesting music playing (we had to use Shazam plenty of times!). If you’re coming from other places in Thailand , specially Bangkok or Chiang Mai, you will find things in Koh Lipe slightly more expensive. Remember that goods need to travel a long way to come to the island. Interestingly, prices seem to be consistent around the island: almost everything is exactly the same price everywhere. This happened for everything from massages to snorkeling day trips. Ah and don’t bother trying to haggle prices, they will politely refuse to lower the price even a single baht. To give you a good grasp of the budget you can expect, I’ll break down our average costs for a day in Koh Lipe. Remember this was for 2 people in November, the beginning of high season and please don’t judge the amount of food we ate. Breakfast: we opted for western breakfast (sorry, can’t eat curry at 9 in the morning!). Average total price was around 300 baht. Water: don’t forget to hydrate. A big water bottle (1,5L) in 7/11 was 26 baht. 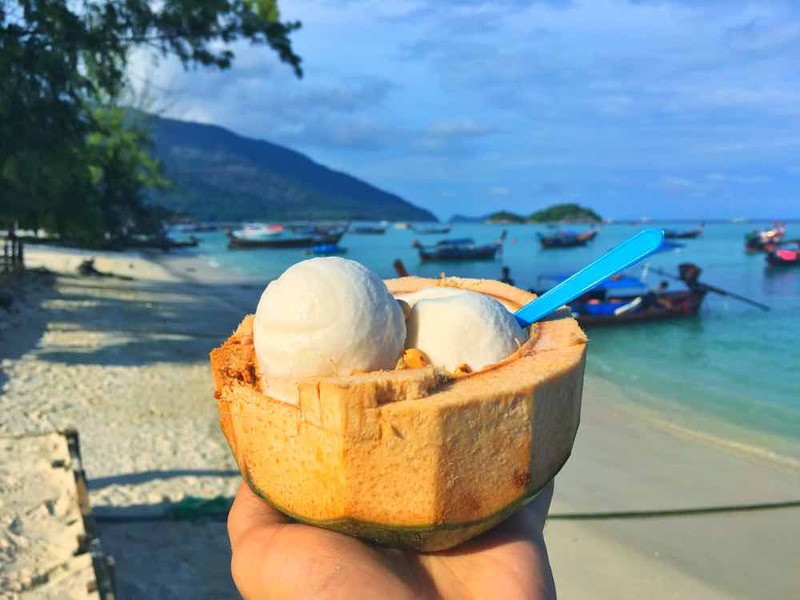 Ice Cream: two coconut ice creams served inside a coconut (inception!) costed us 140 baht. Lunch: a typical lunch would be sweet & sour chicken, a chicken & garlic, two plain rice portions and two fruit juices. Total 310 baht. Pad Thai Dinner: Pad Thai in Bamboo restaurant was our most frequent dinner. Together with drinks, the cost was 260 baht for both. Beers: for two beers in either Reggae Bar or Sea La Vie we paid 160 baht. Regarding accommodation, you can expect to pay somewhere between 800 and 1,800 baht for a day for a double room in most resorts. There are cheaper and more expensive rooms than this, but for the sake of simplicity let’s average it at 1,300 baht. Doing all the math, this means a very comfortable daily budget for two in Koh Lipe during high season is estimated at 3,156 baht. Or less than 90USD/EUR a day for two people. If you are coming in Christmas or New Years, you most likely see these prices inflated. But you also can pay a lot less if you keep your mouth shut and don’t eat as much as we do! Koh Lipe works both as a standalone relax trip or as a fantastic addition to add to your island hopping itinerary in Thailand. When I visited Koh Lanta I thought I had encountered my perfect tropical island in Thailand. Just hitting the sweet spot between commodities and remoteness, turns out Koh Lipe is even more my cup of tea. In many ways, Koh Lipe is the tropical version of Koufonisia in Greece. While Koh Lipe does not get too “Pukhetized”, it has got the minimal amount of infrastructure for travelers to feel like they got everything they needed. At the same time, it still provides the authentic experience of a remote tropical island. I felt I was in a dream the whole time. You get up in a tropical bungalow and head to a paradisiac beach with clear warm waters to work on your tan. When you’re hungry, there is a wide selection of delicious homemade food. When you want to relax (even more) there are super cheap massages available or stylish beach bars to unwind. And everything is within walking distance. And the best of it all is that everyone will greet you with a big smile like only Thai people can do. Yap. I think I found my definition of paradise on Earth.